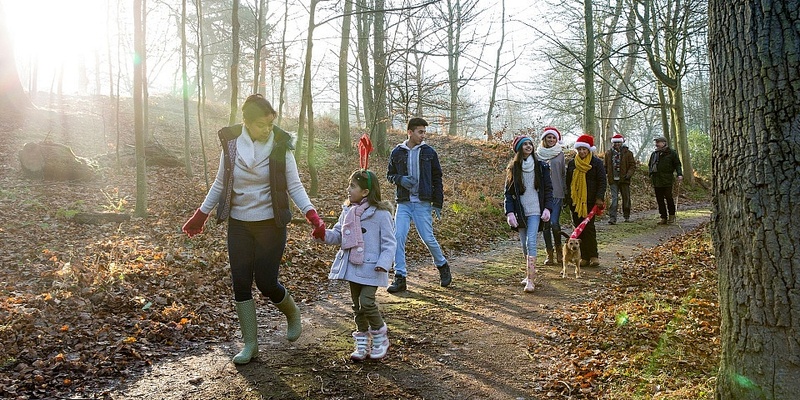 There’s nothing quite like a bracing Boxing Day walk to burn off those Christmas calories. And where better to take it than on one of the best country walks in the UK? Which? Travel has picked some of the best walks from around the country for you to explore and take in breathtaking views along the way. Make sure you check the weather, wear sturdy footwear and warm clothing before setting out on any of these routes. Which? Travel’s experts personally inspect hundreds of UK hotels, restaurants and attractions each year to help you get the most from a British break. Find out more about Which? Travel. 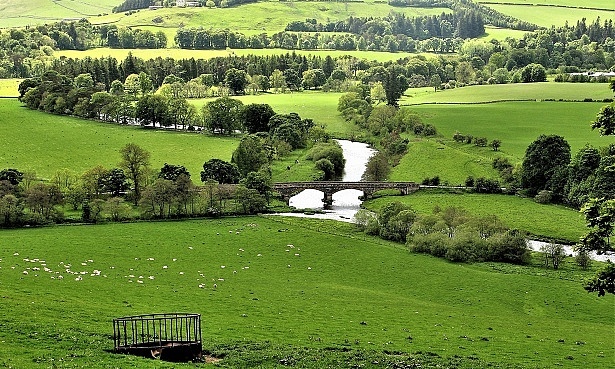 Look out for otters and kingfishers as you follow the River Tweed from Peebles in the Scottish Borders. Park at the swimming pool (take loose change) and follow the river through Hay Lodge Park. The path snakes into the shade of Scots pine and wild rose woodlands before revealing the 14th-century Neidpath Castle (save your camera for the better vantage point on the return leg). Cross at the seven-arch railway viaduct for a 45-minute return stroll on the opposite bank. The path is rocky, so wear sturdy footwear. The sweeping bluff where the North York Moors hit the sea inspired Bram Stoker to write Dracula, and has captivated ramblers ever since. 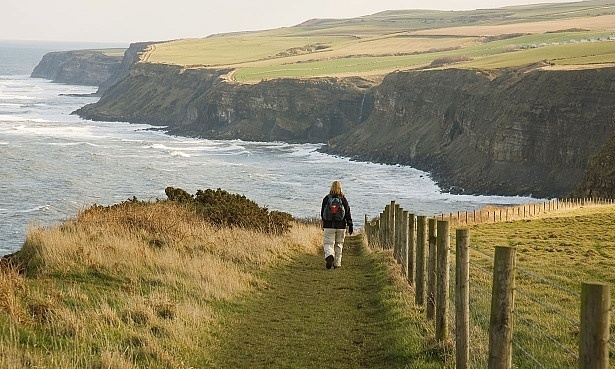 For a gentle 1.5-hour walk, park in Ravenscar and follow the Cleveland Way. At Boggle Hole, named for goblins imagined in caves below, the path plunges to the beach. At low tide (if the water’s not too icy cold! ), take off your shoes and hunt for crabs in rock pools en route to Robin Hood’s Bay. Descend into the deep wooded gorge of Glenariff, near Ballymena, on a circular two-mile trek through dense pine on a carpet of moss. From the car park (£4.50), red waymarkers lead to a spectacular spray-swept boardwalk over a series of tumbling rapids and thunderous falls. Look out for the red squirrels who’ve made their home among the dripping lichens and fragrant ferns. For waterfall views without the steep steps, park (and have a drink) at Laragh Lodge restaurant (check it’s open before going). 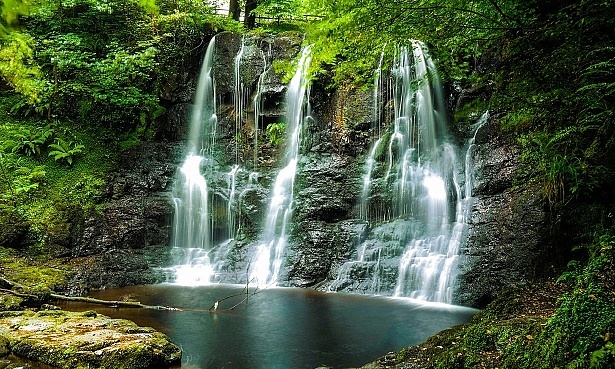 The two biggest cascades are just a few minutes’ walk away. 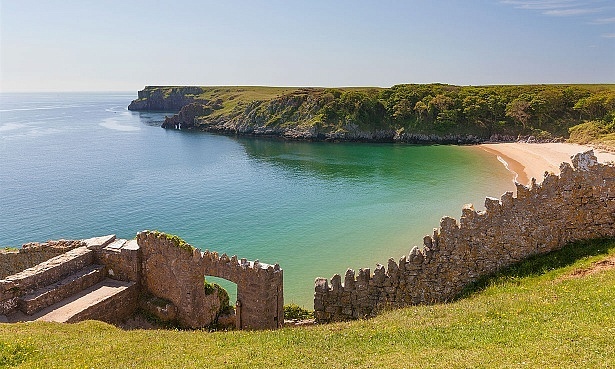 With its blue waters and secluded sands, dune-backed Barafundle Bay on the Pembrokeshire coast, accessible only on foot, is one of Britain’s most beautiful beaches. Walk along the coast path, past soaring stone arches and towering cliffs. The trail loops inland through the National Trust’s Stackpole Estate with its freshwater, lily-pad-covered lakes. This six-mile (3-4hr) walk starts and ends at Stackpole Quay’s car park (£5 or £2 after 2pm, National Trust members park for free) where you can finish up with a slice of cake at the Boathouse Tea Room. 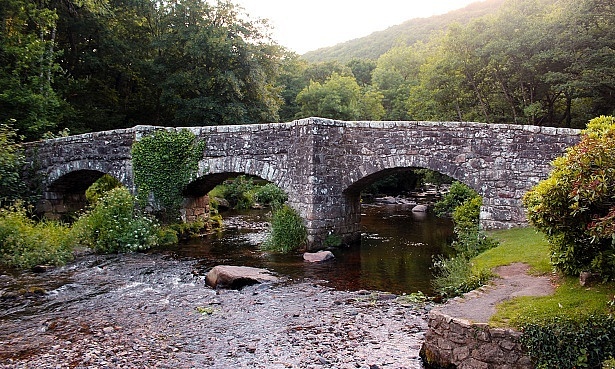 Soaring valley views, easy walking and the prospect of a pint on the banks of the Teign, make this one of Dartmoor’s most popular walks. Starting with a steep ascent on the ancient Hunter’s path, you soon emerge to an eye-popping gorge draped in ancient oak woods and ponies. The return leg drops into the valley for a riverside walk along the Fisherman’s Path. It’s an easy, four-mile (2hrs) route beginning and ending at the Fingle Bridge Inn. If none of these walks take your fancy, why not view some of our readers’ favourite places to go walking, or share your own. Rail fare rises 2019: how much more will you pay?